‘Thula Thula’ means quiet and peaceful in Zulu. 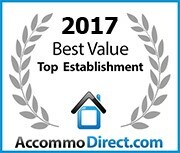 It embraces the heart and soul of the African bush. 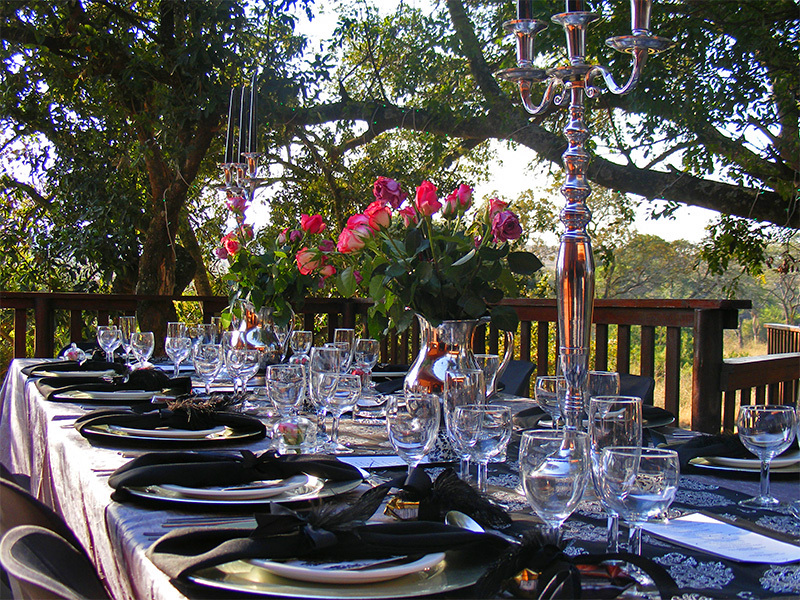 Your wedding ceremony will be witnessed by guests along to the tune of singing crickets and African drums! Under the acacia trees and curious game in the distance, celebrate your wedding reception safari-style, in a star-lit boma or on the pool deck overlooking unspoilt African bush as you and your beloved are pronounced husband and wife. Thula Thula, the oldest Private Game Reserve in Zululand, is filled with Adventure, Zulu History, Style and gourmet cuisine. 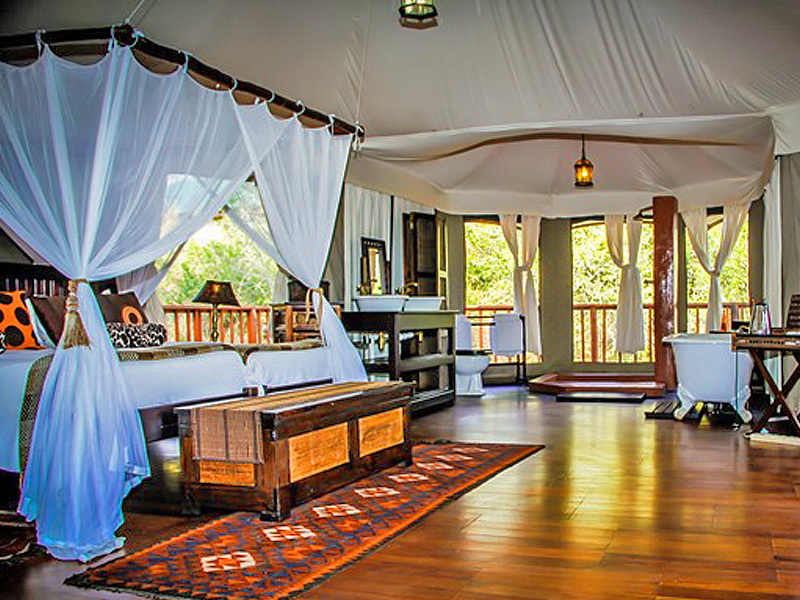 The unique atmosphere, stylish décor and superb service will make your wedding and honeymoon at Thula Thula memorable. “It would have been difficult to have found a more appropriate venue for a romantic wedding than nature´s very own setting at Thula Thula Private Game Reserve. Late afternoon sunlight filtered through the trees and set off to perfection the bride´s exquisite ecru brocaded wedding gown as she approached her groom resplendent in cravat and tails. The Bride and Groom exchanged their vows with birdsong in the background adding a touch of African realism. A herd of elephants had paid homage to the couple the evening before, parading and trumpeting to convey their own message of goodwill. The rhythmic beat of drums added to the magic when Zulu dance leader Shaka and his crew from Buchanana joined in the celebrations. 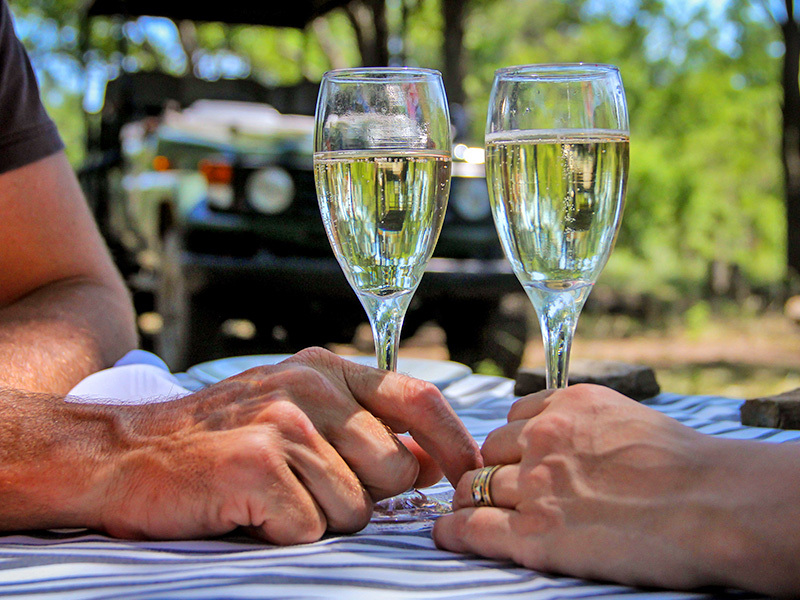 Champagne was served as the sun went down on the African bush … After the wedding ceremony and photos, the couple had a dream ending to their African experience – a private Safari!